Visit us at the SPS IPC Drives, Europe’s leading exhibition for smart and digital automation. Click here to register now for your free entry ticket! 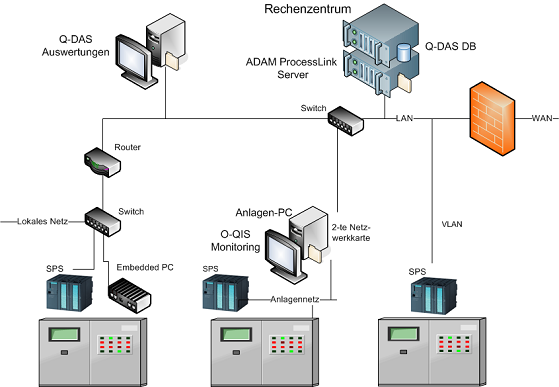 ADAM SOFTWARE delivers software solutions for data acquisition and communication in the manufacturing industry. Gain competitive advantage, improve quality and increase efficiency using our services. Good planning is a requirement for a successful project. We will support you during the planning of your project to find the best solution to satisfy your requirements. If you like to go into the details of the OPC communication or the Q-DAS data format, you can attend our standard or customized trainings. You need a fast and robust installation and configuration of the software, based on best practice and the experience of many successfull projects? You can get the whole solution! You need suport to connect new devices or extend the existing installations? Migration to a new Windows version? Maintenance contracts for software updates and support are available. No standard software available? We are developing your solution based on technologies like C++, C#, OPC, Web. We support you to keep your software running. Phone or remote access support is available. Standard data formats and a good quality of data are crucial in the automotive industry to improve quality and increase efficiency. 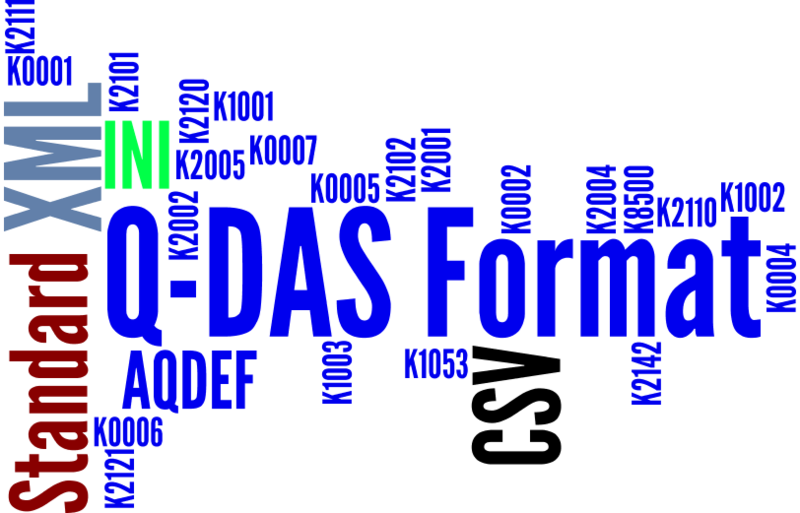 Our software is able to generate data as Q-DAS ASCII Transfer Format as required by AQDEF (Advanced Quality Data Exchange Format), a specification defined and adopted by the automotive manufacturers worldwide. Our software is certified to comply to the Q-DAS ASCII Transfer Format, allowing data collection of process and quality data in a standard way. 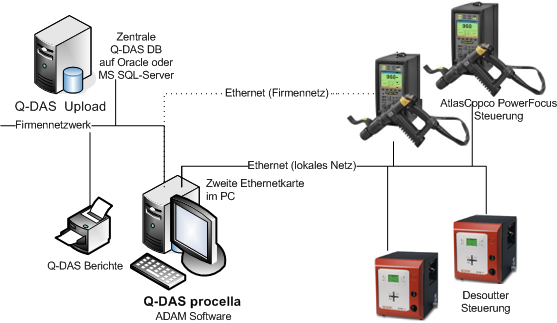 Using the same data format for measurement results across different machines and measurement equipment at the suppliers plant is not only a big advantage but usually also a requirement imposed by their customers, the automotive manufacturers, to be able to evaluate this data in a standard way with the same software tools. Writing software interfaces to comply to the Q-DAS ASCII Transfer Format is usually not the focus of Measurment Equipment Manufacturers, because this would require specialized know-how and would bind ressources needed for the main business. 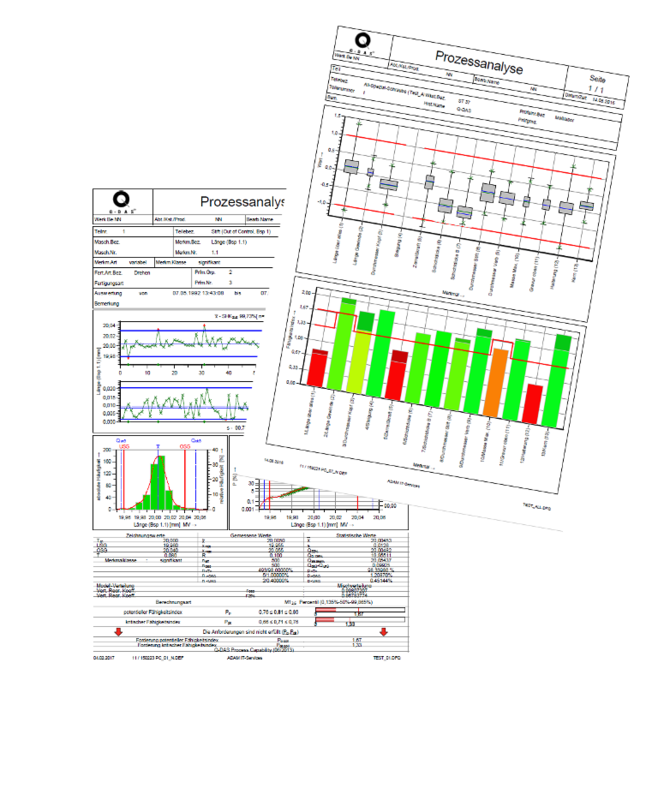 Including our certified data collection software as a standard component into the machine or measurement equipment will free resources, save costs and reduce time to market. ADAM Software is in partnership with leading software companies to receive a number of benefits including instant access to technology resources and special trainings and support. This allows us to help our customers to implement and deploy robust data acquisition and statistical software solutions, that will help improve the quality and enhance production processes and ultimately reduce costs. Send an Email or call us or contact one of our distributors. 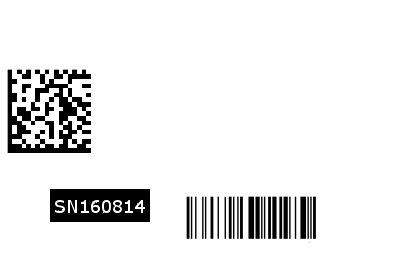 © Adam-Software Ingenieurbuero. All Rights Reserved.